Lift trucks are durable and dependable working horses – but even the best stallions need to be nurtured. Cat® Lift Trucks has joined forces with Cat Logistics to ensure that its materials handling machines receive world-class service. Cat Logistics supports more than 60 clients all over the world, in various industries. 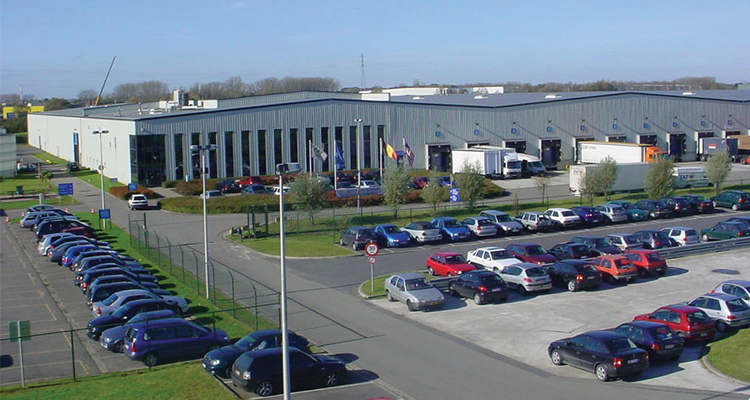 It’s a surprisingly sunny Monday in February and we are heading towards Puurs, a small town near Antwerp, which hosts one of the company’s network of warehouses in Belgium and delivers parts for Cat Lift Trucks all over Europe, Africa and the Middle East. Our host for the tour of the 30,000 sq m facility is office supervisor Patrick Hoskens, one of the 70 people are employed at the site. It works closely with Cat Lift Trucks, which organises parts procurement; Cat Logistics’ responsibilities cover warehousing and dispatching. Chris Willemse, Parts Procurement Manager at Cat Lift Trucks, tells us that parts come to Puurs from all over the world. About 50% come from within the company, 25% from elsewhere in Europe and the balance from the USA. The main objective of Parts Procurement is to ensure the highest possible parts availability. We are to follow the journey of a specific part during its stay in Puurs. Goods are delivered at the loading bays where they are inspected prior to the printing of ‘put away’ documents, which tell the warehouse employees where everything is to be stored. From the unpacking area goods could go to multi storey shelving, cantilever racking (for long items like cylinders) or stored away in pallet racks. There is also a small area of bulk storage on floor locations. Slow-moving items are stored furthest away from the front; the most popular parts are kept as near to the order pickers as possible. ”Efficiency is important but we like to put safety on the same level. We are very proud that this warehouse has now been accident-free for three years,” Partick said. Cat Logistics employees undergo specific training and safety inspection walks are undertaken every day. The annual ‘safety challenge’, a motivational competition, rewards the driver with not just the best skills, but with the fewest mistakes. Customers want their parts fast, but undamaged, naturally! A fleet of 24 machines includes power pallet trucks, order pickers and reach trucks, each working in its own pallet rack area. Patrick stops at a large drawing board, which is covered with all kinds of graphics and is, he says, the heart of the operation. 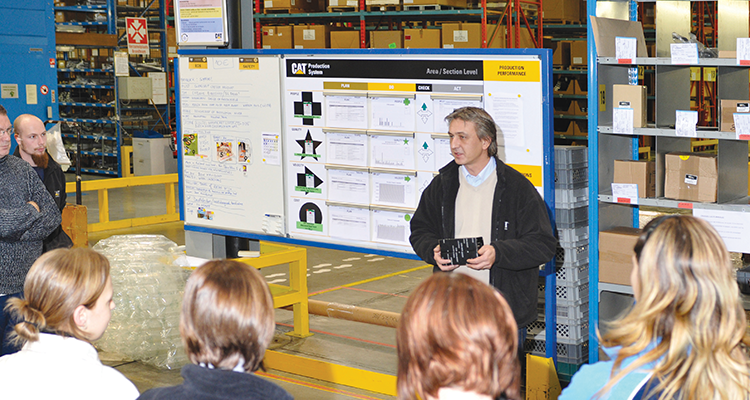 The Cat Production System is a quality management system that makes a lot of use of visual aids. The drawing board shows us the four pillars of the operation: People, Quality, Velocity and Cost. All pillars are monitored against the Deming circle: plan, do, check, act. Each has clearly stated goals and everybody in the warehouse can see what the current performance is, whether there are any deviations and what is going to be done about it. The section ‘People’ revolves around tidiness and safe working. ”We have a quick team meeting around this board every day, when we make decisions on the tasks for the day,” Patrick says. “Everybody knows exactly where we stand and what needs to be done.” Alongside is the Continuous Improvement board. Staff have the opportunity to make suggestions and ideas for improvement and every idea has to result in a decision or an action plan within 30 days. We follow the trail back from storage towards shipment. The Puurs warehouse has two main order flows; stock orders and emergency orders. Parts can be delivered before 7am next day if required, anywhere in Europe. Picking lists are prepared in the office and then sent to the warehouse, where staff are deployed to their picking areas, where they could be working on different orders at the same time and don’t need to travel enormous distances. Once picking is complete, the various items are placed in ‘buffer racking’. Individual shelves represent different orders; the order-picking list dictates how many items go on each. At the other side of the racking another check is undertaken before goods proceed to packing. 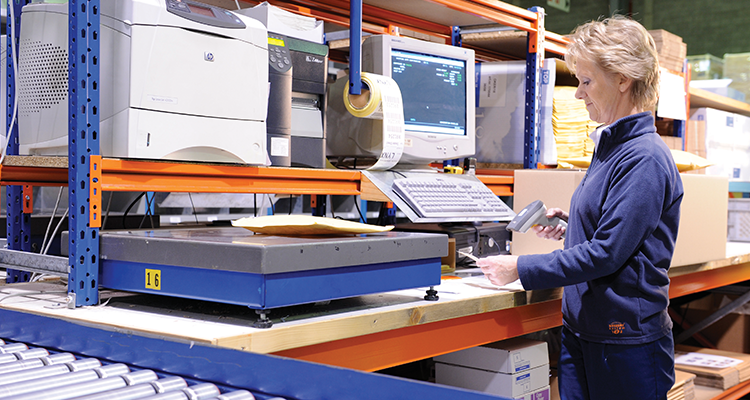 Labels are read by barcode scanners and the order is then made ready for shipment, with individual customer packs collated into one or several palletized boxes. Orders for delivery to remote parts of Europe are prepared, loaded and despatched first. There may be a final audit before loading onto the lorry; a completed box can be randomly selected and completely unpacked to check for any errors. It may seem excessive but it reflects the drive for highest quality. ”We have greatly benefitted from the set up with Cat Lift Trucks,” says Rob de Greef, parts manager at Netherlands dealer Crepa. “We have arranged for parts to be sent directly, overnight, to the serviceman’s van, to arrive before 7am. The service engineer checks the order list with the delivery and then proceeds directly to the customer – there is no need to come to any Crepa facilities. The advantage is both that we keep our own inventory low and service our customers better. We also benefit directly from Cat Logistics’ great inventory level of 97% full line, first pick. This means 97% of the orders are in stock, in the ordered quantity.” Our journey has returned us to our starting point: the loading bays, where Patrick welcomes us back. On the way back from Puurs we stopped at Cat Lift Trucks’ facility in Almere, to find out more about parts support from Wesley Filby, Parts marketing representative. 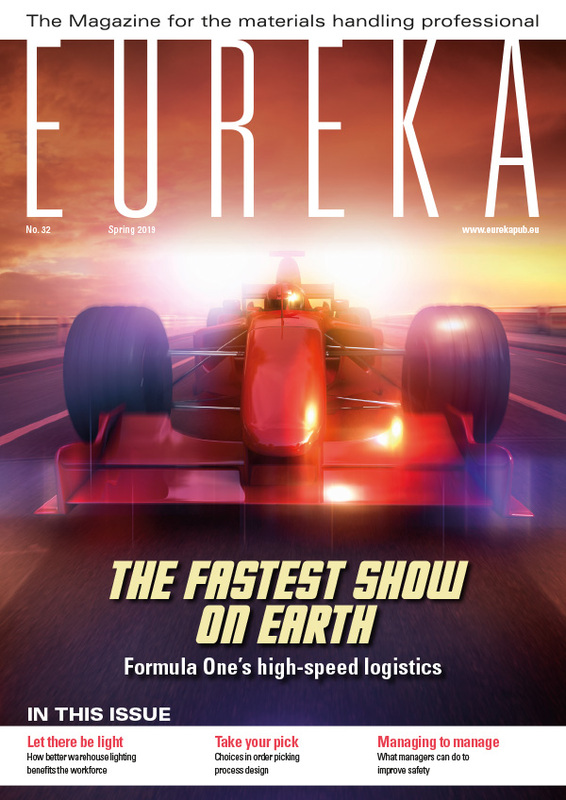 “We do everything we can to keep lift truck operations functioning smoothly around Europe, Africa & the Middle East,” he says. “The better we do our job, the less a customer notices anything. We support our dealers with training and advice on inventory levels, maintenance contracts and parts management. We help them by getting the right parts at the right time at the right place. The Puurs facility plays a vital role, especially when a customer needs overnight delivery to service vans. It is close to Zaventem airport, for overnight cargo flights. Direct distribution is a great service for the dealers at it saves them inventory and, more importantly, enables them to raise their customer service levels. Support is not limited just to ‘regular’ parts. We can supply parts from the factory, such as mast components, chassis parts or side shifters. Parts are still available for 10 years after the last truck delivery and we even keep tooling afterwards for exceptional cases.” All Cat Lift Trucks’ parts, service and warranty efforts are captured in a web-based aftersales support program. Dealers can download an incredible amount of information and even follow e-learning courses. An item has its barcode scanned in preparation for shipping. “Working with a member of the Cat family carries a true understanding of the importance of our name,” he adds. “The Cat brand is shown on the package, which communicates the added value of OEM (Original Equipment Manufacturer) parts. They were specifically selected in the design stages of a lift truck and are the best choice for keeping your truck running well”. Salvatore La Torre, Aftersales Manager at Italian dealer CGM, agrees and warns that some parts sources sell inferior products. “The Cat brand on the packaging is a reassurance, for both our dealers and our customers,” he says. On my way home from Almere, I realise that I had never appreciated what it takes to keep a lift truck operation running smoothly. I only hope my car’s garage has the same back-up. 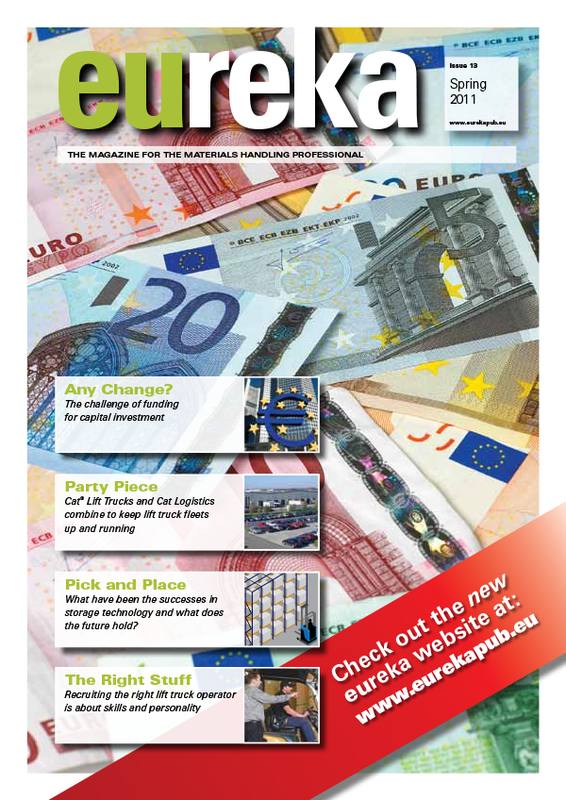 This article appeared in the 2011 Spring edition of eureka magazine.